Cascade allows you to enable your product descriptions to be split by images so that you can achieve a similar layout to the Cascading Content home page section. 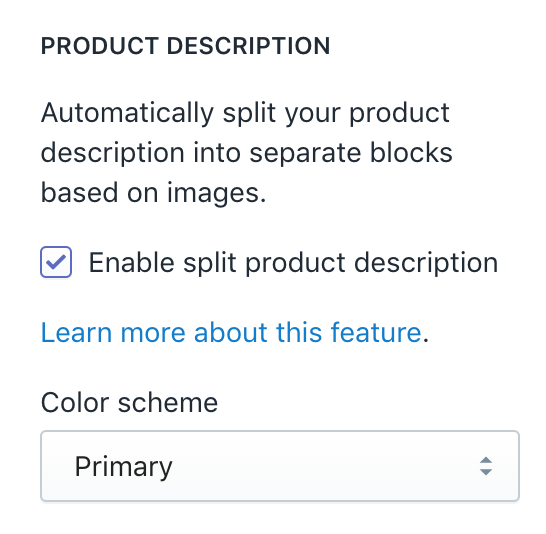 To enable this setting, navigate to the “product” page in the theme editor and check the box “Split product description by image”. To ensure Cascade splits your product description properly - make sure your product descriptions contain paragraphs. A good way to clean your product descriptions is to click on “ clear formatting” button on the Rich Text Editor toolbar. 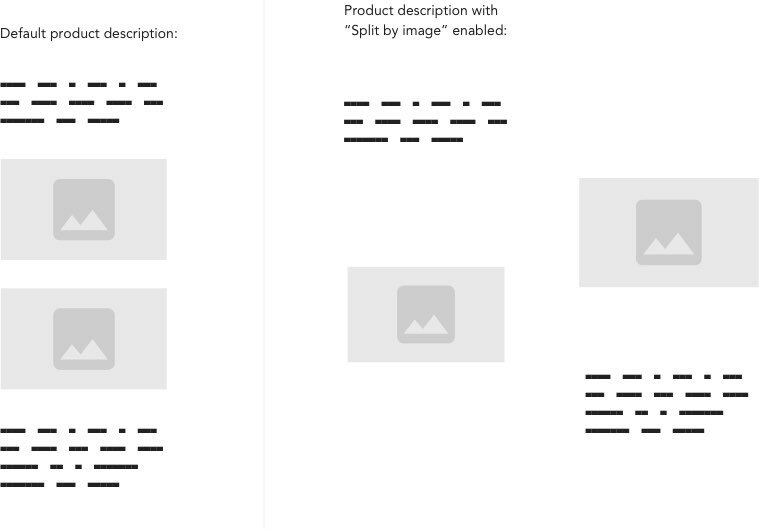 This will ensure your product descriptions have the correct formatting for this feature.